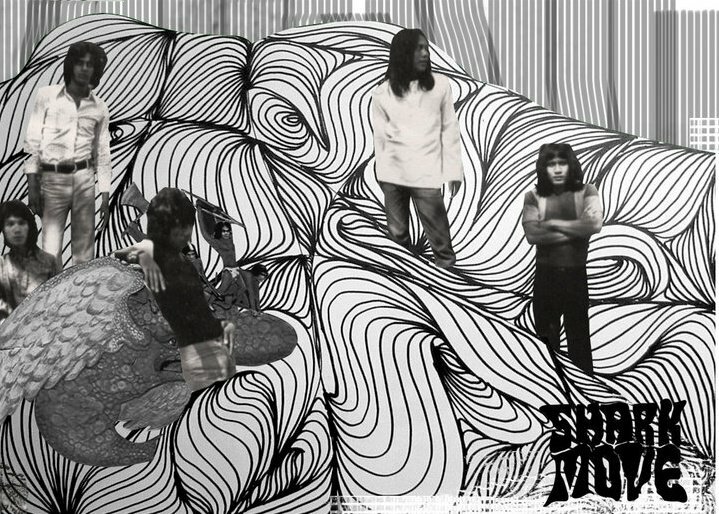 Due in great part to the compilation release of Those Shocking, Shaking Days (Now Again, 2010), the exposure and subsequent interest in unknown and/or long forgotten Indonesian psych/hard rock groups of the late 1960s to early-mid 1970s has been growing in recent years. A virtual treasure-trove of lost tracks and obscure bands, one can only wonder why these Indo treasures weren’t excavated sooner. One of the stand-out tracks on …Shaking Days is undoubtedly Shark Move’s “Evil War”, an incredibly eerie, psychedelia drenched gem that just oozes monster tones and thumping bass. Lest we forget, during the early 1970s, Southeast Asia was very much in turmoil and littered with devastating violence. “Evil War”, a song written in the very backyard of that seemingly never ending conflict, speaks volumes about the people who endured so much, yet who persevered in spirit, as evidenced in their their music. And so, in 1973, against the backdrop of war, Shark Move laid down their one and only album, Ghede Chokra’s. 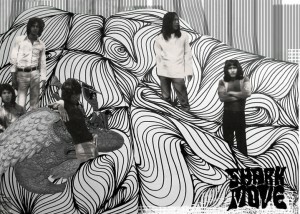 One of the members of Shark Move, a cat by the name of Benny Soebardja, would go on to work with another well-known Indonesian band of the period, Giant Step. It was with Giant Step that Benny almost caught his “big break”, when they came painfully close to signing with Virgin Records (UK). However, as with most Indo acts of the time, this was not to be; the world just didn’t seem ready. 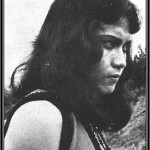 Eventually, Giant Step ran its course in relative ambiguity, being contained, and ultimately lost, within the confines of mid-70s Indonesia. Refusing to lay down his pen, however, as well as his guitar, Benny would go on to crank out some of the most phenomenal solo music the Indonesian music market has ever been hit with. Much like his earlier work with Shark Move and Giant Step, Benny’s seminal solo recordings of the 1970s were released without label support, making them essentially private pressings. Between 1975 and 1980, Benny recorded five albums, all of which have never seen any official vinyl issuing…until now. 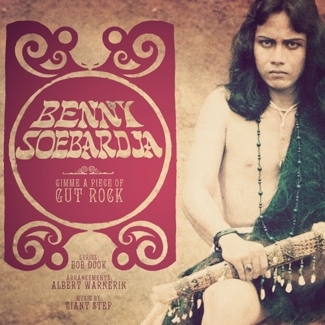 Thanks to the salvage divers over at Strawberry Rain, Benny’s first three solo albums, Benny Soebardja & Lizard(1975), Gimmie a Piece of Gut Rock (1977), and Night Train (1978), have been released on vinyl for the first time ever. Where to begin? Well, for starters, this was Benny’s first “official” solo release. And, with no label backing this sucker, the creative freedom was flowing — and man, can you hear it. Hell, you can feelit! Backed by Lizard (a group made up of essentially mystery musicians, although I personally suspect some Sharkmovers are present), what you hear on this album is beyond amazing. Standout tracks include “18 Years Old” and “Cynthia”; “Cynthia” will leave you wondering if you’ve ever really heard a love song before. 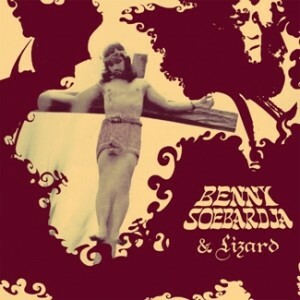 Upon its original release (if you can even call it a release), Benny Soebardja & Lizard appeared on cassette only, in sudo-bootleg form, and was ultimately absorbed by the sands of time. Enter Strawberry Rain records! This reissue has everything going for it. One, it’s a limited edition pressing of 250 copies (however, the Indonesian market had reserved 50% of those pressings, leaving only 125 copies available worldwide). Two, the sleeve on this LP sports the original banned artwork. And three, the album (as well as the other two re-releases) is housed in a vintage tip-on style jacket! How cool is that? Ah, Gimmie a Piece of Gut Rock. Just the title alone is far out! Recorded in just 30 days — rumor has it that Benny was given unlimited studio time — the sound you get off Gimmie… is layered, at times complex, and not necessarily what one would expect coming off of Benny Soebardja & Lizard…but it works! It works so well in fact, that some collectors argue this to be his finest hour. While I personally don’t adhere to that opinion, it is nonetheless an epic ride and one definitely worth buying a ticket for. Hey, speaking of Lizard, guess who backed-up the noise on this effort? You got it! But what most people don’t know is that Benny also had help from some even older pals on this one, with Giant Step filling the gaps. 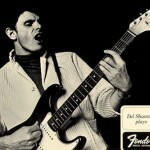 Due to lucky circumstances one night back in the ‘80s, I found myself face to face with Del Shannon, my very first rock ‘n’ roll hero. I mentioned that when I was 10 years old, hearing “Runaway” for the first time had proved a life-changing experience. Although I knew he must have endured many variations of my story through the years, I found Del to be friendly, funny, enthusiastic, and genuinely down to earth. I saw him live a couple of times too, and he always tore the roof off the joint. 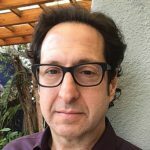 The whole point of which is to give fair warning: this will not be a clear-headed, objective analysis of his rockingest Berlee and Amy sides. I love this stuff. It’s an amazing compilation, the first to focus solely on what I consider the renegade rocker’s peak period. 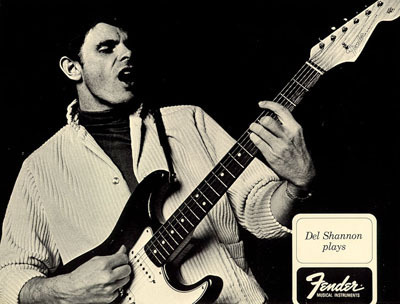 Once he freed himself from the clutches of the Big Top label, Del got to play rhythm guitar on all his records. Al Caiola had handled most of the guitar duties going all the way back to “Runaway,” although Del did play rhythm on “Little Town Flirt” and a few subsequent Big Top sessions. Hooking up with Detroit’s rockin’ Royaltones proved a tailor-made match for Del. During this time, he chose some perfectly suited covers in “Handy Man” and “Do You Wanna Dance,” whilst also penning some of his best originals. His own “Keep Searchin’” tackled the British Invasion head on, hitting the Top 10 in late 1964. Its themes of persecution and paranoia were carried to even further extremes on “Stranger In Town,” which reached the Top 30 early the next year. 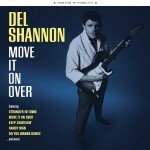 Both of these atmospheric, superbly produced records feature Del’s piercing falsetto and rock like crazy. One follow up, “Break Up,” has a tough chord progression and is quite strong, although it barely made the charts at the time. Another one, the frenetic “Move It On Over,” features a scorching Dennis Coffey guitar solo but inexplicably failed to hit. There are so many other delights here, including the Link Wray-like instrumental “Torture,” which makes its vinyl debut.